In 2018, fuel grew in price by 10.7 percent in Kyrgyzstan. The head of the Trade Department of the National Statistical Committee, Venera Mambetalieva, told journalists, Trend reports referring to 24.kg. According to her, diesel fuel has risen in price by 18.5 percent, gasoline — by 9.5 percent. At the same time, gasoline prices grew steadily during the year. 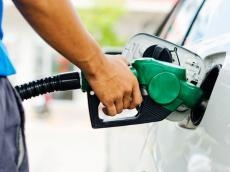 Reduction of gasoline cost was recorded only in August, and diesel fuel — in December 2018. «For 11 months of 2018, fuel and lubricants were imported from Kazakhstan for $ 29 million, from Russia — for $ 241 million. The share of petroleum products from Russia is 37.9 percent, from Kazakhstan — 8.4 percent. Compared to 2017, the supply of petroleum products from Russia decreased by 8 percent, from Kazakhstan — by 30 percent,» Venera Mambetalieva stressed.